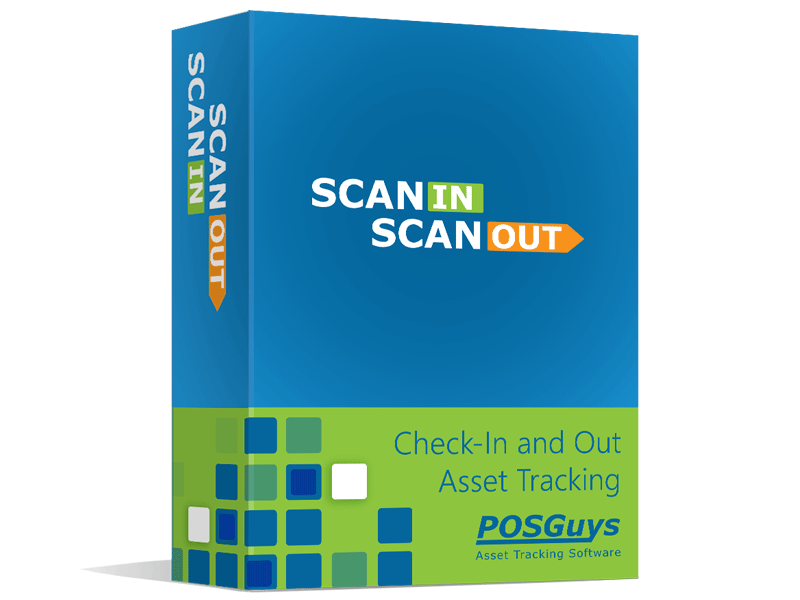 POSGuys created Scan In Scan Out to help our customers keep track of their valuable assets. With Scan In Scan Out users can create an inventory of items, print barcodes for them, then scan the barcodes as they’re going out and scan them as they’re coming in. Scan In Scan Out is a versatile barcode scanning application that can be configured for unique use cases. The application can require users to scan their employee badge barcode as they are scanning items in and out. It can also require the user to scan a customer barcode to assign a check out to a specific job or location. Scan In Scan Out provides barcode printing, inventory import, reporting and instant inventory information. With any windows based tablet, laptop or desktop computer, a user will simply plug in a barcode scanner, set up their inventory, and then start checking items out. Accountability – help maintain a sense of responsibility with items checked out. Accuracy – scanning items in and out with a date time and job site can help show tool usage for a specific job, customer or location. Productivity - improve productivity by knowing an item’s location. Ease of use – simply scan a barcode or a series of barcodes to record who checked it out and where they took it. Barcodes are easy to create with Scan In Scan Out. We suggest the Zebra ZD410 barcode printer to print your labels, although just about any of our desktop label/barcode printers can be used for printing many common sized labels. Please remember, because we built this software ourselves, we can modify it for your specific needs. Please let us know if you need something special and we’ll be happy to offer a quote for a custom barcode scanning solution. Find it faster! Click here to compare Scan In Scan Out models by feature.